Landslide election wins are increasingly uncommon. No president has won the popular vote with a double digit lead since 1984. So what contributes to campaigns? Money? Demographics? What role do youth play? According to the Federal Election Commission, the 2012 election presidential candidates spent a cumulative $7 billion on their campaign bids, beating the previous unprecedented total of $6 billion in 2008. Campaign spending is increasing cycle to cycle and this year is no exception. Simultaneously, demographics of the nation are changing. Over two-thirds of the growth in the American electorate since 2012 is attributable to racial and ethnic minorities. 2016 also marks the first year where most millennials are eligible to vote in comparable numbers to baby boomers (both comprise about 31% of the electorate). How do these influencing factors impact each other? What role do youth who cannot vote play? 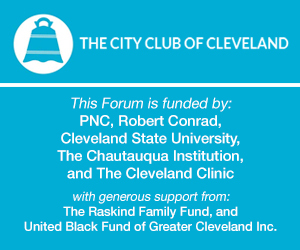 This is the City Club's first Youth Forum of the year -- take a listen for some local insight on politics and power. This conversation is moderated by Youth Forum Council member Bishop Walton.